Three partners at a former legal aid firm have been fined a total of £40,000 for failing to pay disbursements as they struggled to keep the practice afloat. The Solicitors Disciplinary Tribunal (SDT) heard that, as a result of Heaney Watson’s financial problems, all three partners were made bankrupt and managing director Simon Heaney lost his home. Mr Heaney, Ruth Kearns and Tracy Winstanley admitted using money received from unpaid disbursements to “support the firm’s cash flow”. They agreed that “they were aware that not all disbursements were being paid” when money was received from the Legal Aid Agency (LAA), and the money remained in office account. “They agree that this was done due to the financial difficulties being experienced by the firm and that they could not afford to pay the disbursements as they fell due. In an agreed outcome with the Solicitors Regulation Authority (SRA), approved by the SDT, the partners accepted that their conduct “undermined their integrity”. They further agreed that Heaney Watson, a family law specialist firm based in Liverpool which derived 80% of its income from legal aid, was “first struggling financially from or around March 2016” after taking out a number of short-term loans, but they did not tell the SRA until a year later. The SRA closed the firm in May 2017, with debts exceeding £1m. Mr Heaney said, in mitigation, that Heaney Watson was founded in 2009, but one week into its second year, his then partner “was diagnosed with a serious illness and spent the next 12 months off on full pay”. She had eventually to leave the firm and was paid £550,000 for her 50% share of the practice. This was followed by “major cuts” in legal aid. Mr Heaney said action to address these problems included refinancing the short-term loans over a longer period, trying to sell the business and exploring a company voluntary arrangement (CVA). Mr Heaney owned 60% of the shares in the firm and was the firm’s COLP and COFA. 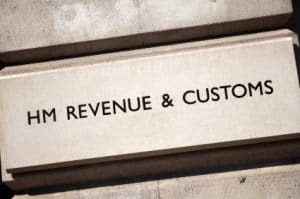 He said that once HMRC’s position was known, the SRA was informed of the firm’s position immediately. The LAA “stopped sending the firm money” at the beginning of April 2017. Mr Heaney was made bankrupt later that month. Now a barrister, Mr Heaney said he had endured financial hardship following his bankruptcy, “losing his family home as part of that process”. Ms Winstanley was made bankrupt in May 2017, Ms Kearns in June. The three former partners admitted retaining LAA payments for disbursements worth almost £40,000 in office account, failing to remedy the shortfall on client account and failing to notify the SRA that the firm was in financial difficulty. The SDT accepted that the fines and the costs paid by Ms Kearns and Ms Winstanley should be reduced to take into account their financial circumstances. They were each fined £10,000 and ordered to pay £2,500 in costs. Mr Heaney was fined £20,000 and ordered to pay £5,000 in costs. All three lawyers were made subject to restriction orders preventing them from acting as managers or owners of law firms, acting as COLPs or COFAs or being signatories to any client or office accounts.